Part of the ABC News Nightline series, which features favorite episodes from anchorman Ted Koppel's award-winning television news program, ABC News Nightline: Assassination of Indira Gandhi reports on the chilling attempt on Indira Gandhi's life. 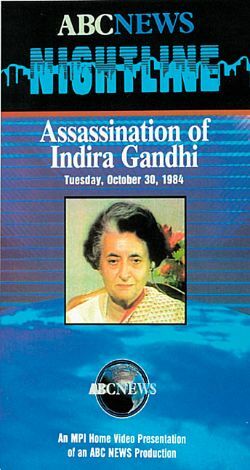 Originally aired on October 30, 1984, the episode explains how two Sikh security guards tried to murder Indira Gandhi in New Delhi. Interview footage provides cultural and political context.